Brighten up fact families with gradients of pop color! 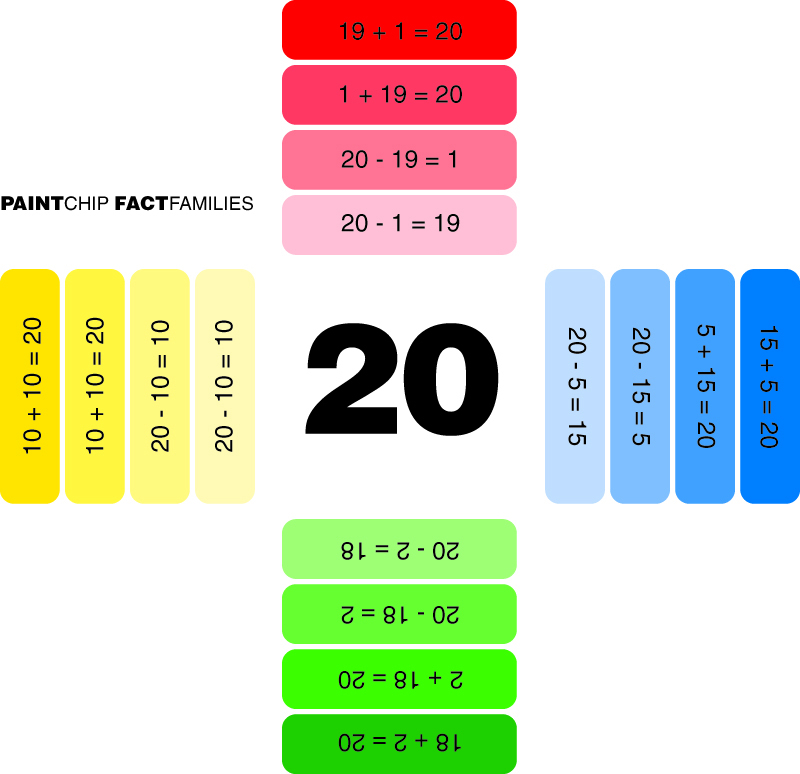 I love Manning Math Mania's paint chip fact family challenge, so I simplified it for younger kids. 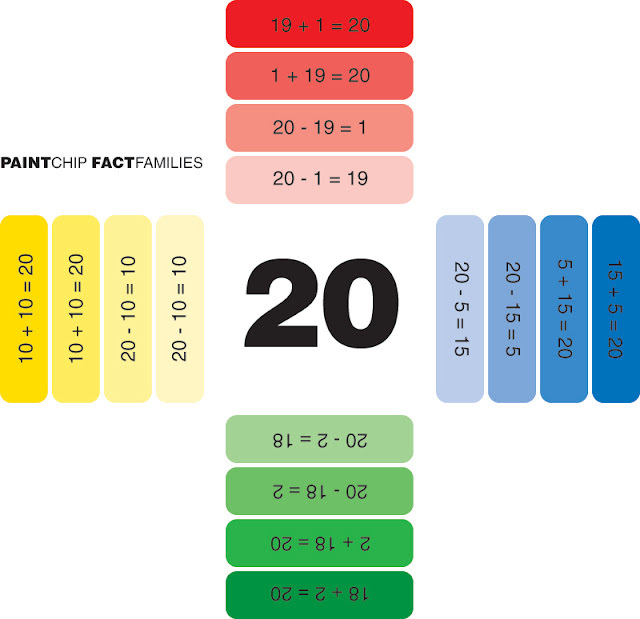 You can do multiplication / division, adding more paint chips like Manning Math Mania did.